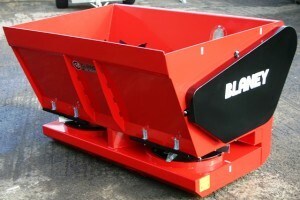 The Blaney Poultry Bedder has been designed in consultation with poultry farmers and processors for bedding applications suitable for use with shavings, sawdust or chopped straw to reduce fatalities of the chicks by spreading the bedding evenly, minimising the risk of isolation from heat, water and food. 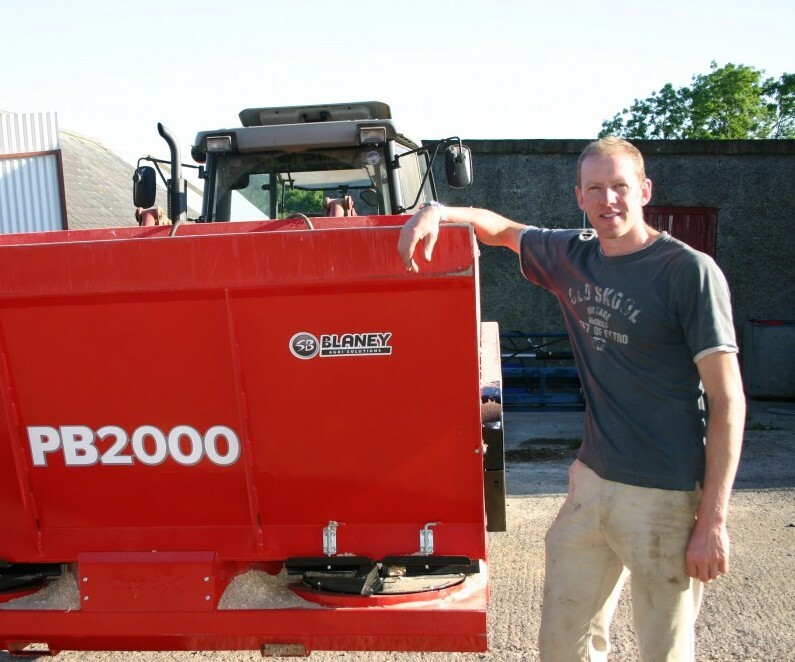 The Poultry Bedder makes poultry house bedding a one person operation, to save time and money, to maximise farm profits. It is 6 times faster than a 3 person crew. With an impressive dispensing rate it spreads an even layer of bedding in a 180° arc. 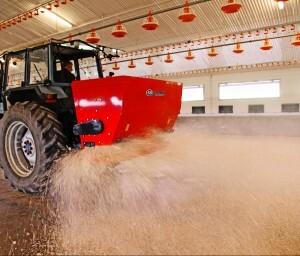 Alternative spreading methods tend to spread large bedding particles to the outer part of the spread pattern and make the very small particles airbourne increasing dust and an uneven distribution of the bedding particle size. 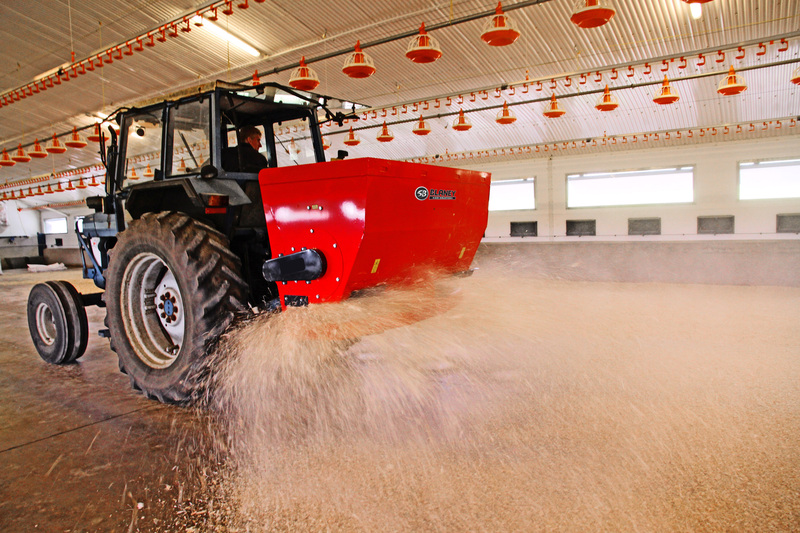 The Poultry Bedder will reduce your bedding material usage by up to 50% compared to manual bedding. Turkey specification models allow spreading of bedding with feeders down to greatly reduce time during this normally laborious job. It turns a 2 hour job into one less than 10 mins and with bedding turkeys every other day this makes the Blaney Poultry Bedder an asset that provides an excellent return on investment. 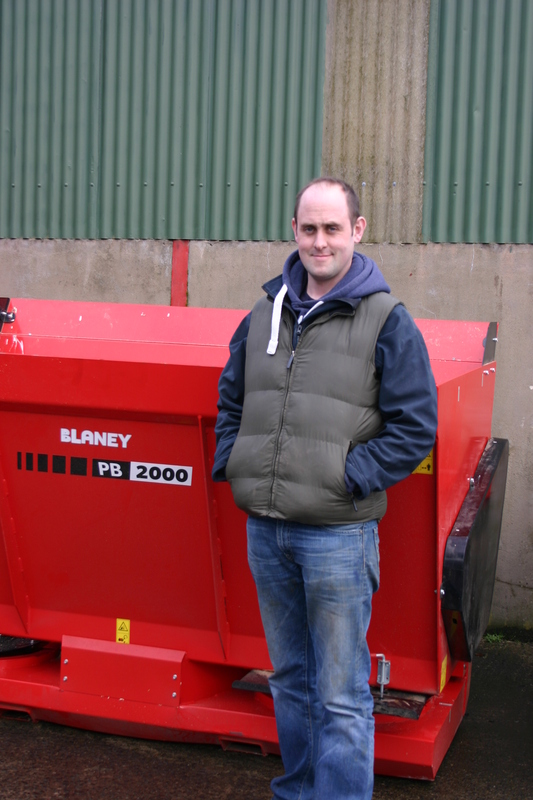 "The Blaney Poultry Bedder is one of the best machines I have ever bought. Before we had the bedder, it took two of us up to 6 hours to bed our 3 houses. This was a lot of hard manual work, carrying and raking the shavings out. Now I can bed all 3 houses myself in a fraction of the time, with no real effort. I can have all the houses bedded in little over an hour. Since the Blaney machine leaves such a fine finish I am saving at least 50% of the shavings. This is a great saving in money, but less shavings means the houses are also easier to clean out too.